How to invest in real estate to solve problems is a natural question for many real estate entrepreneurs. 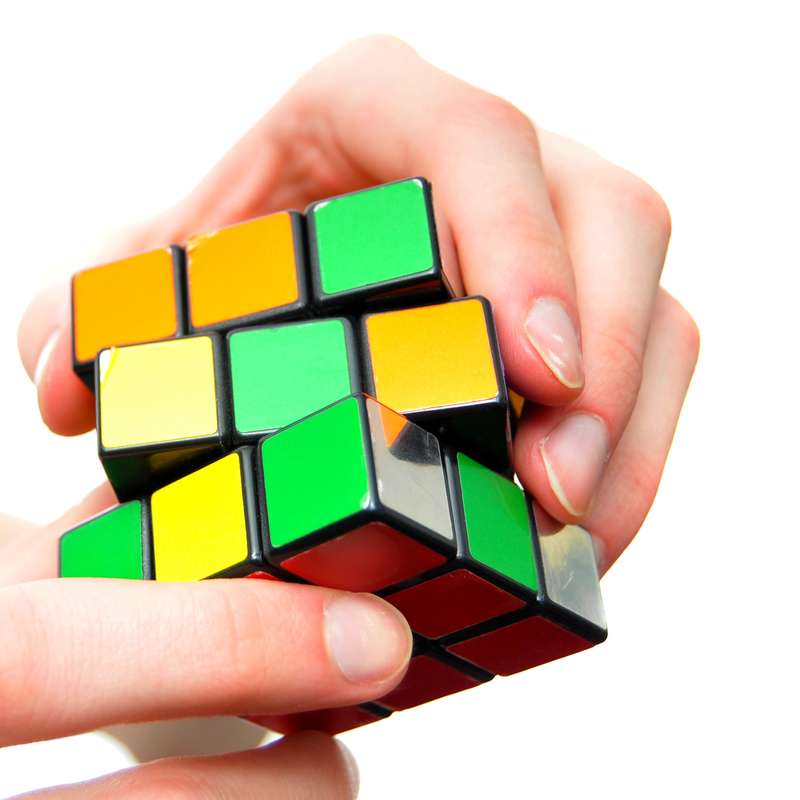 Real estate investing, like any other business, exists to solve problems. Whether it is providing relief from the burden of a possible foreclosure or improving neighborhoods by fixing dilapidated houses, real estate investors provide solutions to people and communities in need. Thinking of a real estate investor as a problem solver, make take a shift in your thinking. But in my experience, seeing your business through this lens has been eye-opening and rewarding. This post will explore several ways that show you how to invest in real estate to solve problems. · provides work for those in construction, financial services, and household goods and services businesses. During the real estate downturn from 2006 to 2014, real estate investors played a major role in turning around the real estate market. A study sponsored by Bigger Pockets. com, a leading web site for real estate investors, indicates the housing crisis pushed nearly 4 million foreclosures onto the open market. The housing crisis devastated home values. During this time, real estate investors bought many of these foreclosures when few other people could or would. The actions of real estate investors provided stability to the crumbling housing market. On average real estate investors spend $7,500 per home renovation. This spending pumps in more than $9.2 billion every year into construction-related spending. As a real estate investor, my entire business model is based on ways to solve problems for my clients. When people find themselves in times of distress during a divorce, bereavement, loss of a job, or dealing with tax issues, a real estate investor has a variety of programs and services to help the client solve his problem. For example, as a real estate investor I can quickly help a family who inherits an outdated and unwanted home. We can also deal with any of the belongings in the property. During your time of grief, especially if you are far away, a real estate investor could promptly solve your problem. As the housing markets recover in most parts of the country, real estate investors continue to help those most in need of affordable housing. Real estate investors provide services that many financial institutions and traditional real estate firms do not. For example, it’s estimated that over eighty percent of the population in the United States cannot qualify for a traditional mortgage loan. This means that there is a huge underserved market for housing that traditional financial institutions are failing to fill. Real estate investors can help these people solve their problem with a variety of tools to put them on a path to home ownership. What Happens When You Plan Your Exit Strategy Before You Buy! Are you ready to plan your exit strategy before you buy property? To plan your exit strategy for your real estate investment before you buy, may sound like starting your meal with dessert. However, it can prevent you from getting into a bad deal. In his landmark book, Seven Habits of Highly Effective People, Stephen Covey calls the second habit, “Begin with the End in Mind.” This is especially true in today’s real estate market. Unless you want to wander aimlessly down a highway you need to know your exit before you get on the interstate. In real estate investing the same principle applies. To be successful, you need to plan how to exit the deal when you enter the deal. This article will discuss what happens when you plan your exit strategy for your real estate investment before you buy. To begin our discussion, first we will discuss “what is an exit strategy.” An exit strategy is essentially the way that you plan to dispose of the property that you are considering buying. To be successful in real estate investing, you must know your exit strategy when you purchase the property. The goal in real estate investing should be building wealth for you and your family, period. Think about the ways that this investment will increase your wealth. Will the deal give you tax benefits, appreciation, or income? If you are fortunate you may get all three in your deal. Or are you looking to recover your expenses quickly and earn a profit? 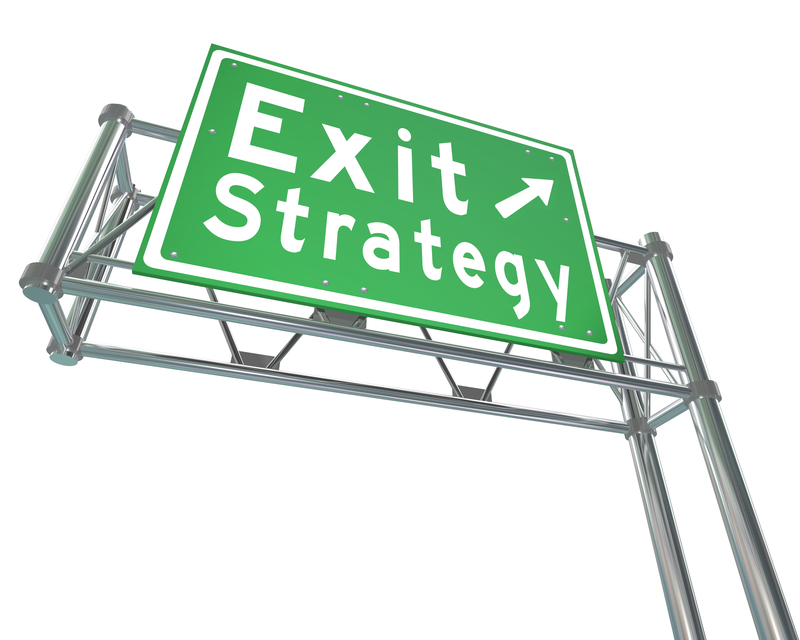 Why is it important to have an exit strategy? Many people believe that real estate investing is about buying a piece of property just to possess it. Or, they call themselves “Real Estate Investors”, when they purchase real estate at a specified price and “hope” that that price will increase over time. These types of “investors” are often disillusioned when the cost of maintaining a property becomes prohibitive or the value of the property decreases significantly. But knowing how and when you plan to dispose of the property, helps you decide on how to structure the deal. It helps you decide on the price and the time frame that are suitable for your goals. What would happen if you had an exit strategy? If you had an exit strategy, you would have a better understanding of the maximum amount of money to spend on your deal. If the market is good and I know that the property will command premium rents or a long- term lease, then I might use a buy and hold strategy to hold on to the property for long term wealth creation and positive cash flow. If the property is in an up and coming neighborhood, I know that I can make a quick return by forcing the appreciation of the property. Then I may consider a rehab or fix and flip exit strategy to make a quick return on my investment. Knowing your exit strategy, gives you the confidence needed to know that whatever the situation, you are making the right decision. Wining at the real estate investing game requires knowledge, skill, and abilities to analyze and evaluate every scenario. You will need several arrows in your quiver to hit the bull’s eye with your investing. To learn how we help you live the life of your dreams through real estate investmenting, contact us at The Book On Investing or RADAR Investments, Its Always On! 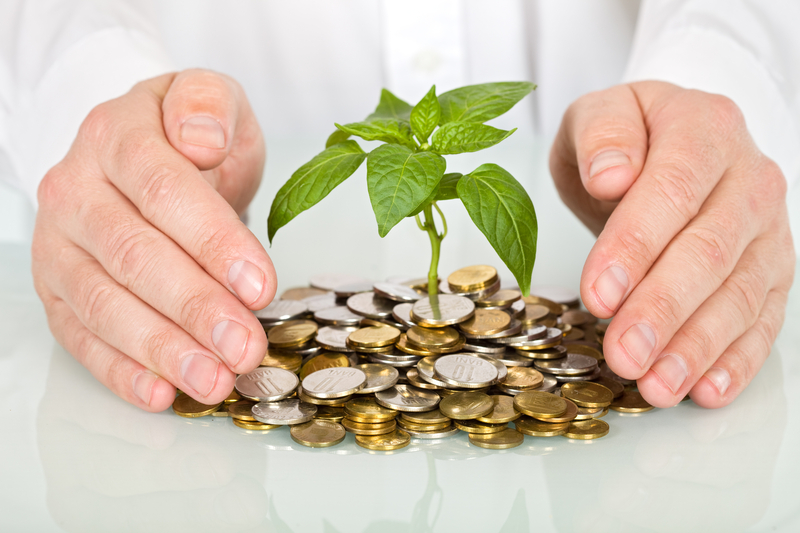 Cash Flow: Watch Your Wealth Grow! Cash flow came up the other day in an interesting conversation with a friend over a Starbucks coffee. He knew that I like investing in real estate but he wanted to know how real estate investing grows wealth. Now, I knew that my friend has an analytical mind and I know that in his question, he would be analyzing every word that came from my mouth. So, I thought about his question for a few seconds and realized that I had to give him an answer that would satisfy has curious mind. I then picked up a Starbucks brown napkin and wrote four terms: cash flow, equity, depreciation, and appreciation. First, I told him that real estate investing provides for gross spendable income or as we say in the real estate investing, cash flow. I asked him to imagine buying a property for 60% of the market value, using the bank to finance the property and then renting the property out for twice the mortgage that you are paying on it. He said that “it sounds good!” I said, that’s cash flow making you wealthy! Second, in addition to cash flow, now take the same property and hold on to it for a number of years. Let your tenant pay your down your mortgage. This means that the debt on the property is decreasing and your equity is increasing. The equity in the house is a valuable asset. It can be used as leverage to buy another property to start the process over again. I asked him, still sounding good? He replied, keep going. I said, that’s how you grow your wealth! Thirdly, I said after considering the cash flow and equity take the same property and deduct the cost of depreciation for the wear and tear on the house by the tenant. Then you use that depreciation as a loss on your taxes. This could save you thousands on your taxes. I asked, “still with me” he nodding his head. I said, this how savings in taxes grows your wealth! Lastly, I said consider cash flow, equity, depreciation, and now add in appreciation to the property. I told him that the savvy real estate investor makes money when he buys a real estate deal not when he sells. Remember I told him to imagine buying this property at 60% of the market value? This means that in a worst case scenario, the property should appraise for what you bought it for. So you would not lose any money. The upside of appreciation is that the property will more than likely rise in value and become more of a good investment over time. I said, are you still concerned about growing your wealth? After about 10 minutes of my back of a napkin presentation, I asked him if he could find the same benefits by investing in stocks, bonds or precious metals. He said no. He thought that what I explained to him sounded good but, was still wondered if he could grow wealth by investing in real estate. I said yes, I am doing it now! My friend was so impressed with my presentation that he bought my favorite Starbucks coffee. He had learned four ways to grow wealth by investing in real estate. He had learned all about (1) cash-flow; (2) equity; (3) depreciation; and (4) appreciation. He asked about how he could learn more. I hope that you do to! If you would like to learn what I am teaching my friends and clients, come to The Book On Investing to learn about my Savvy Investor Program. Overwhelmed? Or Will You Delegate? Have You Learned to Delegate? Learning to delegate can be problem for many entrepreneurs and small business owners. Is your desk piled high with projects that you can’t seem to complete? Are you feeling overwhelmed? Perhaps failing to delegate is a problem for you. A wise mentor once told us that learning to delegate is a key wealth building strategy. You need a team to help you create the life of your dreams. As an entrepreneur and business owner you must learn to delegate those things that don’t make you money. If you do not learn to delegate, your business will be limited in scope to only those things that you can personally accomplish. (1) Learn to Delegate: Delegation is a key strategy for maximizing your results. The Blizzard of 2016 gave us an opportunity to exercise the strategy of delegation. We had to decide whether to work on our business, i.e. preparing the next presentation. Or are one or both of us would shovel the snow from the Blizzard of 2016? Because it was a magnificent snowfall, the aftermath and clean up would be a massive undertaking. We choose to delegate the task. We paid some local fellows about $15.00 an hour to shovel the snow from the driveway and sidewalk. Then we turned our attention back to what makes us money and what we do best: writing, coaching, and presenting. That type of delegating works for us. (2) Examine How You Spend Your Time: Are you still doing minimum wage jobs? As a business owner you must examine how you spend your time and learn to delegate those minimum wage activities that keep you from focusing on wealth creating activities. Every day we make an intentional decision not to involve ourselves with minimum wage activities. Therefore, we delegated the snow shoveling. (3) Make Others Part of Your Team: What would you have done? Would you have chosen to save the money and shovel the snow yourself? We decided to make the guys who shoveled the snow part of our team for the day! They did in two hours what would have taken us all day. We then worked on our business. Delegating works for us! Key Lessons: The key lessons are: (1) learn to delegate; (2) examine how you spend your time; and (3) make others part of your team. Are you making an intentional decision to delegate? Are you using your time to launch or grow your business so that you can spend more time with your family and doing the things you love? Or are you spending time doing minimum wage jobs? To learn more about delegating get your Free Report on Building Your Business DreamTeam. Let us hear from you! Share how delegating has worked to help you create the life of your dreams! Real estate investing means you must look at the numbers. Would you love to invest in real estate but that don’t quite understand the numbers enough to make an informed decision? I am often asked, “How do you determine if a deal is a good real estate investment? Well, I use a simple formula when I evaluate a property in a real estate investing deal is to determine if it’s a good candidate for a rental with positive cash flow. This formula also allows me to determine if I need to use a different strategy to make a real estate investing deal profitable. Take this house below as an example. The purchase price of the property in this real estate investing deal was $80,000, and it rents for $900 per month. Therefore $900 monthly rent x 12months = $10,800 per year. The expenses would include 10% property management fee ($1,080 per year), annual taxes of $1,000(per year) and annual insurance of about $600 (per year). This equates to $10,800 rent per year – $2,680 yearly expenses (PM, Taxes, Insurance) = $8,120 per year. In addition to the above expenses, I would also add another 10% for unexpected maintenance and vacancies. 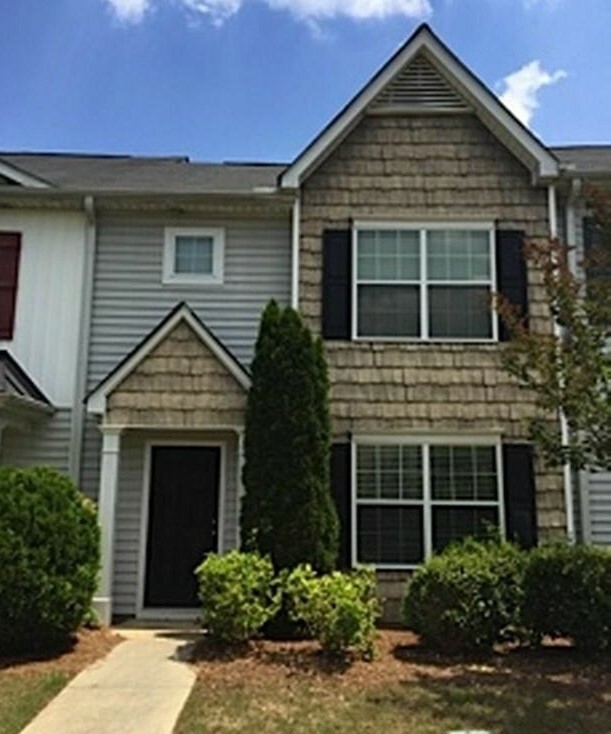 Therefore, $8,120 – $812 (10%) = net $7,380 yearly positive net cash flow from this real estate investing deal. Once you have the net cash flow figure, this figure is then divided by the purchase price of $80,000 and then you will get a sum of 0.0913 which would mean a cash on cash return of 9.13% from this real estate investing deal. As you can see, this is a pretty good return on investment from this real estate investing deal. These numbers are based on a cash purchase but could even look better if you used leverage or financed using the bank’s money. To learn how we help you create the life of their dreams through real estate investments, contact us at The Book On Investing or RADAR Investments, Its Always On! As a real estate investor I have created a business dream team to help me achieve my goals. Now I teach real estate investors and other entrepreneurs how to do the same. My new program, “, “The Ultimate Guide to Building Your Business Dream Team™”, is designed to help real estate investors and other entrepreneurs learn how to focus on the things that they do best and delegate the rest. This program will help entrepreneurs be less transactional and more transformational. In my book, “The Book On Investing™” , I write about how I am able to buy and sell properties, sight unseen, and make handsome profits. I am able to leverage the skills and expertise of my powerful business dream team to accomplish much more that I could do on my own. Below is the process that I used to buy and sell my first real estate investment property. Dream Team Member #1 – Marketing Person. This real estate deal was a property that was located 300 miles from where I live. A motivated seller contacted me after receiving info from my marketing firm. I contracted out to a marketing firm. That gave me the best return and response rate. Dream Team Member #2– Real Estate Agent. I immediately put the house under contract. The contract was generated from my automated contract writing system. I then located a local Real Estate Agent. I added this Real Estate Agent to my business dream team to get comparable sales in that neighborhood. In addition, this Real Estate Agent continues to provide me with real estate investment leads. Dream Team Member #3- Property Inspector. From the Real Estate Agent’s contacts, I was able to add a local property inspector and handyman. The inspector reviewed the house and provided me with repair estimates. This property inspector is now a trusted partner of my business dream team. I use him frequently to inspect and repair other houses. Dream Team Member #4– Property Buyer- Through my property inspector I was introduced to another real estate investor who buys properties with cash. I was able to sell this property to this cash buyer. The cash buyer is now an integral part of my business dream team. Dream Team Member #5– Closing Attorney. Through my contacts with the property buyer, I was able to make contact with a local Real Estate Settlement Attorney. This Attorney handled all of legal issue associated with the purchasing and selling of this property. The attorney handled the title search, escrow management, and all of the legal paper work. Because of the work I put into building a team, the purchase and sale of this property went forward without a hitch. I used this experience to develop a blueprint for constructing a dynamic business dream team that can be adapted to any business. To learn more about how I can help you build your business dream team to help you achieve your goals, visit “The Ultimate Guide to Building Your Business Dream Team™”. Sign up today and get your free report! Some of my favorite television shows are Kitchen Nightmares, Hell’s Kitchen, Bar Rescue and Hotel Impossible. These shows are so popular because people like you and I enjoy all the drama associated with these businesses on the verge of failure and how the experts like Chef Gordon Ramsay come in and save the day. Although these shows are very entertaining, they also teach me some important lessons on business: You have to work on your business instead of in your business. Otherwise you have a job rather than a business. Most of the business owners on these shows suffer from the typical bad business disease that other business owners have, they try to do everything themselves. On one recent episode of Kitchen Nightmares, the restaurant owner was the manager, the chef, the accountant, the cleaning person, and the host. No wonder, his business was failing; he was trying to do everything and was good at nothing. The business owner had not learned to delegate! I had the same problem when I started my business, but quickly learned from my mistakes. Now I have the time and money to enjoy the fruits of my business. For example, I can enjoy eating lunch at Chef Gordon Ramsay’s restaurant in Las Vegas! My business continues to operate when I am not there because of “The Business Dream Team™” I have put in place. Learning how to build a dynamic business dream team is the difference between having your business run on automatic pilot and one where you have to be there in order for it to run. When we learned the secrets of how to build “The Business Dream Team™”, our business took off like a rocket. We can now spend more time on marketing and building our business while enjoying the fruits of our business. This program is designed to help you select, hire and manage your business dream team to help you grow your business. It includes a step by step guide, a checklist, and other modules to help you reach new levels of success. So, don’t work in your business, get the help you need to create the life of your dreams to make your business a success. Visit us at www.mybizdreamteam.com to learn more. To grow the wealth necessary to live the life of your dreams, you will need a mechanism to do so. It doesn’t matter if your dream is having luxuries beyond your wildest imagination or helping out family members or the local charity of your choice. You need the money and assets to help you accomplish your dreams and goals. In this New Year, learning how to be wealthy in today’s economy is as much “art” as it is “science” – but both are learnable. It’s not a mystery, and the fact that it’s been repeated throughout history, over and over, in every culture testifies to the fact that yes, indeed, you can learn how to get rich. Sitting on your couch playing video games is probably not going to make you rich, but digging ditches for the next 50 years probably won’t either. So how can you become rich? This is my favorite way to get rich! Buying real estate has been one of the surest ways to get rich since before there was money. As you know everyone needs it and, as Mark Twain so eloquently stated, “they’re not making it anymore.” There are numerous paths to wealth in real estate, but it generally revolves around buying property that brings in more income than it costs to own, and holding on to that property until the prices go up. You can start building your real estate empire right now by reading my book The Book On Investing:The Ultimate Guide for the Savvy Investor. The stock market can be an incredible source of wealth for you and your family. There are a lot of different ways to invest in the stock market. From penny stocks to mutual funds to options and more – there is enough to easily make your head spin. If stocks are going to be your chosen path to getting rich – don’t simply throw your money at random companies. Take time to fully investigate the kind of investing you want to do and follow other investors within that niche to learn how they have made their fortunes. Many internet entrepreneurs are building pretty substantial wealth through online websites and web companies. One of the most significant benefits for starting an online business is that barrier to entry is much lower, as you don’t need buildings, employees, merchandise, or other expensive items to begin – just a computer and some ingenuity. To find out more about starting or building and internet business go to My Biz Dream Team. Although a lot of the shopping in the world is moving online, brick and mortar businesses are still the cornerstone of our economic system. For example, you could move to an area where the economy is thriving (North Dakota) and start a business to serve the oil and gas workers in that area. Building wealth through a traditional business is built by selling either services or products to consumers or other businesses. Finally, there is the good old fashion way to get rich: slowly. Save your money, each and every month, and you’ll grow wealthy just by principle. For example, if you make the average American salary, around $50,000 per year, and can live frugally to save half of your income – you could bury your cash under your mattress for 40 years and retire with a cool million bucks. Or, if you took that money and invested in real estate, earning an average return of 12% per year, you could have $26,389,054.18 after 40 years. This is why I choose investing in real estate rather saving my way to riches. These are the top five ways that you can use to build wealth in today’s economy. Do You Want to Be Wealthy When You Grow Up? “What do you want to be when you grow up?” is a question that you become accustomed to hearing as a child from adults. Many of us were annoyed by that question, but we admit that we have asked many children that question ourselves. Do you want to be wealthy? Or are you worried about not being broke? If your focus is on not being broke, you will never be wealthy! By focusing on “not being broke” you attract “brokenness” into your life and all the negativity associated with it. Research shows that you have over 60,000 thoughts a day and that 95% of them are the same thoughts that you had yesterday. 80% of those thoughts are negative—wealth robbing, happiness robbing thoughts. You must release those negative “brokenness” thoughts and replace them with positive “wealth building” thoughts. Then you can be what you want to be! As you begin the New Year, think about the wealthy, abundant, and happy life that you want to live. In The Savvy Investor Program™, we teach you how to create the life of your dreams. We can teach you wealth building tips that you can begin to use immediately! We help you get off the treadmill. Remember that with real estate investing as one part of your financial plan, you can create the life of your dreams by following a few time-proven wealth building strategies and techniques. Today, buy your copy of The Book on Investing. Share this post and link with your friends so that they can begin to understand how to create a wealthy and abundant life. Let us know about other topics that you would like for us to discuss. How Do You Know When a Property Will Be a Good Investment For You? As a real estate investor I am often asked how to determine if a property would be a good investment. How many times have you seen a property just sitting there and you are wondering if the property would be a good investment for you? But you were afraid to act because you just weren’t sure how much you should offer and how much profit you should factor into the deal before making an offer. · First, you need to know your numbers. Do you know the After Repair Value (ARV), the Repair Cost Estimate (RCE) and Asking Price (AP)? With the knowledge of these three numbers, you should be able to tell whether it’s a good deal or not. · Second, you need a real estate coach or mentor to discuss your investment options. Find someone you trust and who has experience in investing in the type of real estate that you are pursuing. Some people say that coaching is expensive. But I say that without a good coach, it could be really expensive if you make a mistake. · Third, you need to determine how much to offer for the property. If you are looking at a fixer upper then you don’t want to have any more than 70% of After Repair Value (ARV) invested. Keeping a margin of 30% insures that when you are finished making the necessary repairs and after closing cost you will still have 30% equity. Then you can sell it, or refinance it and pull out some cash, or you can enter a lease option deal. · Fourth, if you are looking at what I call an “instant landlord” property then you can pay a little more than 70% of value because you do not have any repair costs. My rule is not to pay any more than 80-85% of value. Perhaps you can offer up to 85% of value, if the cash flow is good and there is good possibility of appreciation. In The Savvy Investor Program™ we teach you how to create your own economy. We help you get off the treadmill. Remember that with real estate investing as one part of your financial plan, you can create the life of your dreams by following a few time-proven strategies and techniques. Today, buy your copy of The Book on Investing. Share this post and link with your friends so that they can buy a copy of the book also. Let us know about other topics that you would like for us to discuss. Grab Your Free Report Today! telecharger snapchat on Real Estate Investing: Are You Achieving Your Goals? http://Www.gamezebo.com on Real Estate Investing: Are You Achieving Your Goals? jeff martin's heartburn no more on Real Estate Investing: Are You Achieving Your Goals? DISCLOSURE - Many articles will contain affiliate links for recommended products or services. These are personally used and reviewed by us and we will receive commission for any resulting sales.